The NDRC here in Dublin, Ireland is hosting a live viewing party of the Startup Lessons Learned Conference being held in silicon valley. Startup Lessons Learned is the first event designed to unite those interested in what it takes to succeed in building a lean startup. The goal for this event is to give practitioners and students of the lean startup methodology the opportunity to hear insights from leaders in embracing and deploying the core principles of the lean startup methodology. The day-long event will feature a mix of panels and talks focused on the key challenges and issues that technical and market-facing people at startups need to understand in order to succeed in building successful lean startups. There’s going to be a ton of great content and speakers at the conference ranging from big established companies such as IGN to companies such as Groupon to smaller startups such as SideReel. They will talk about how to build a successful start up. I wish that I could be there in person but since that’s happening many thousands of miles away, I’m thrilled that I’ll be able to connect with the local startups at the NDRC. Register for the NDRC live viewing at http://bit.ly/ndrclessons. One of the things that really fun about my job here in Microsoft Ireland is that the team I’m on has one primary remit – to inspire the developers or designer of Ireland. In June, we’re going to pull together a full day of the most exciting content from MIX11 as well as some cool stuff that we’re throwing in ourselves all for free. Our goal with this content is to drive you, as someone involved in software in Ireland whether you’re a developer or designer, as a to go bigger and faster with your applications. To help you think about development, whether that’s traditional web development, phone development or even really breaking down the walls to a natural user interface with Surface 2 and Kinect. reMIX Dublin is on June 9th, 2011 at the RDS in Ballsbridge, D4. It’s broken up into two separate events actually. Now, this is a loose schedule at the moment and subject to a few possible changes. For example, I might have a really big name speaker coming in from Redmond that we’ll leverage in here at least, if not twice. I love having a camera on my phone. I’ve had the privilege of playing more golf this week than I did all of last year and on better courses than I’ve ever played in my life. I didn’t plan to play such nice courses and definitely didn’t foresee needing to take nearly as many pictures as I did take. The awesome part is that I have a camera on my phone, which on Windows Phone 7 I don’t even have to unlock to use. 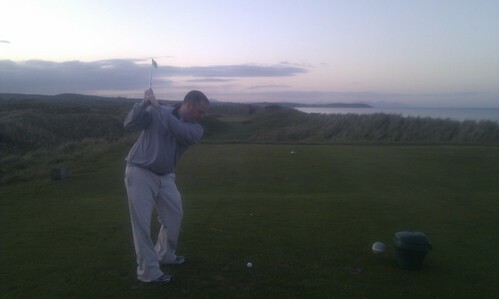 The next day I got to play the Seapoint Golf Course just north of Dublin. 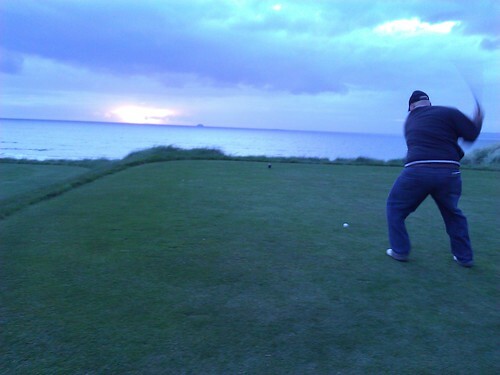 I played this course with my fellow evangelists Dave Northey and Jeff Blankenburg. 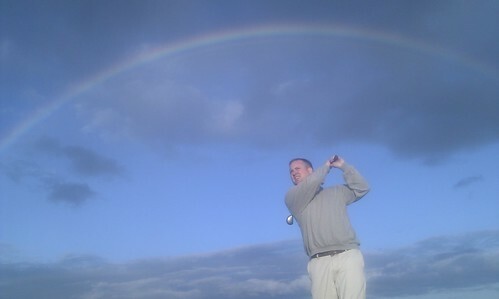 Jeff’s visiting from the states speaking about WP7 and is a big golfer. I couldn’t resist taking him out. We caught some fantastic photos such as the rainbow photo in this post.